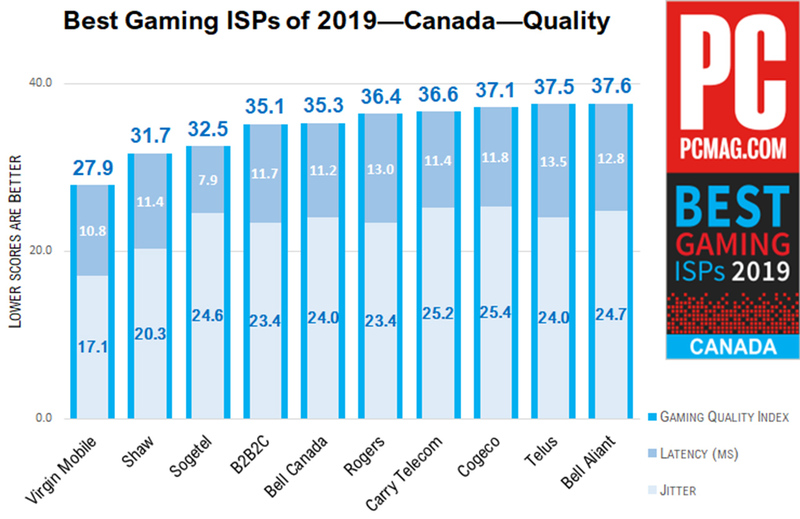 PCMag has rolled out the data on Canada’s best gaming ISPs in 2019, and the results are surprising. 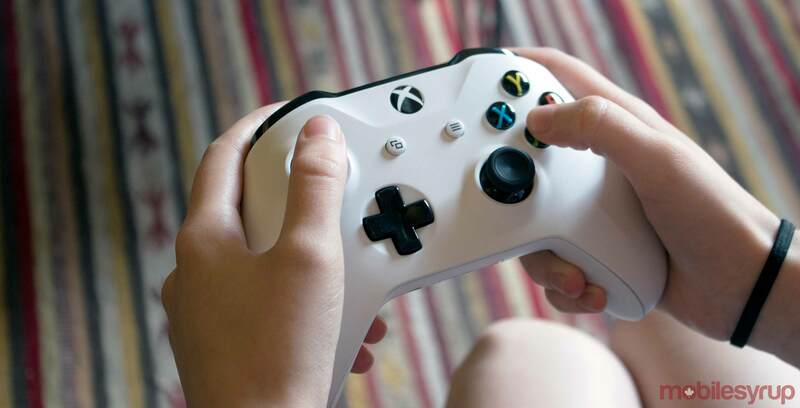 Unlike the publication’s speed test, which only looks at connection speed, the gaming test takes the quality of connection into account. That means PCMag considers jitter and latency along with speed. Further, PCMag gathered the data throughout 2018 from readers in Canada. In total, readers performed 39,266 tests. The results put Virgin Mobile, which is owned by Bell, in the number one spot, with the best Gaming Quality Index score PCMag has seen from any Canadian ISP. Even though most Virgin is primarily a mobile provider, it also offers fixed-broadband home internet services up to 100Mbps down. It scored an average quality of 27.9. Shaw captured second place with a score of 31.7, and newbie Sogetel in Quebec scored 32.5. 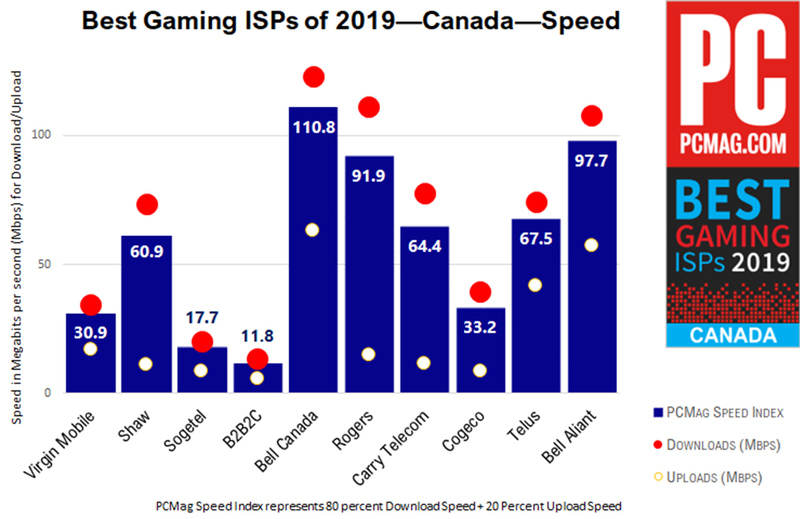 Bigger ISPs like Bell and Bell Aliant, Rogers, Cogeco and Telus mostly filled out the back-half of the top ten. However, it’s important to note that Virgin Mobile’s internet package relies on Bell’s fibre and DSL footprint in the provinces where it’s available: Ontario and Quebec. Interestingly, the ISPs that scored well in the low-latency department didn’t have the best speeds. The cart below keeps the top ten gaming ISPs in order but shows their speeds instead. Virgin Mobile, Shaw and Sogetel are all significantly slower than Bell and Rogers. B.C. claimed the best provincial average in the tests, unseating Quebec as the best province to live if you’re a gamer. Alberta came second. However, Orillia, Ontario topped the charts for best gaming performance by city with a score of 22.5 — significantly below Virgin Mobile’s national average win. In other words, just because you aren’t in the best province for gaming doesn’t mean you can’t get good gaming speeds. To learn more about the PCMag tests, check out all the results here.